An intimate "Fitting room" experience nestled in the heart of the Canal District of Amsterdam. 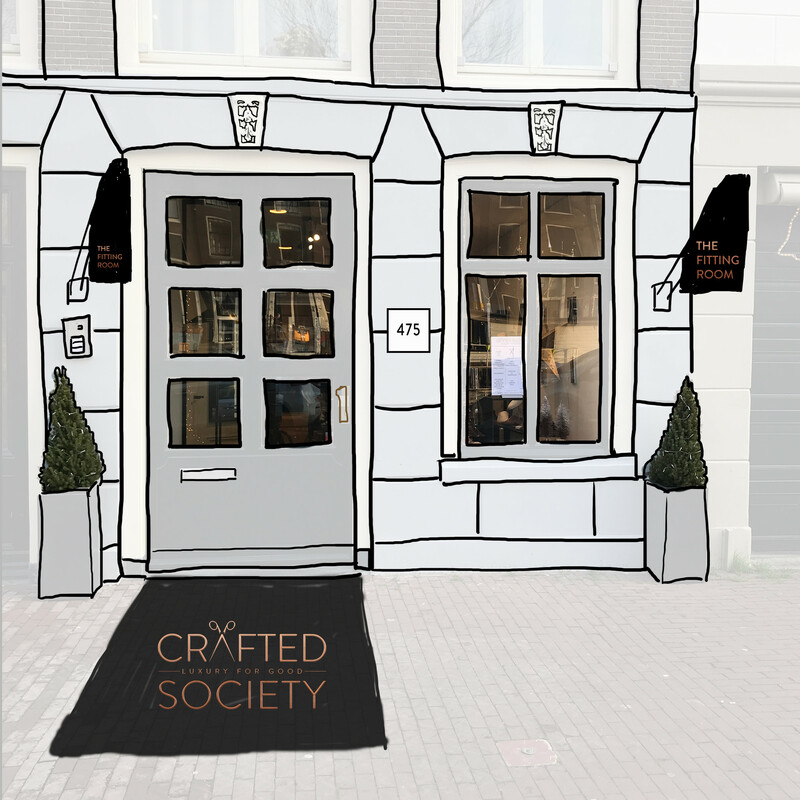 Our Fitting Room/showroom is conveniently housed on the ground floor of a monumental property on the famous Prinsengracht. The Fitting Room is our living room for the brand which showcases all of our products and will welcome you with a friendly smile. BOOK your private experience here. Fix a time, solely dedicated to YOU. You can touch (yes we allow this), try-on and get to know our brand up close and personal before ordering via www.craftedsociety.com and delivered to your address of choice. There is always fresh ground coffee and exotic tea available.